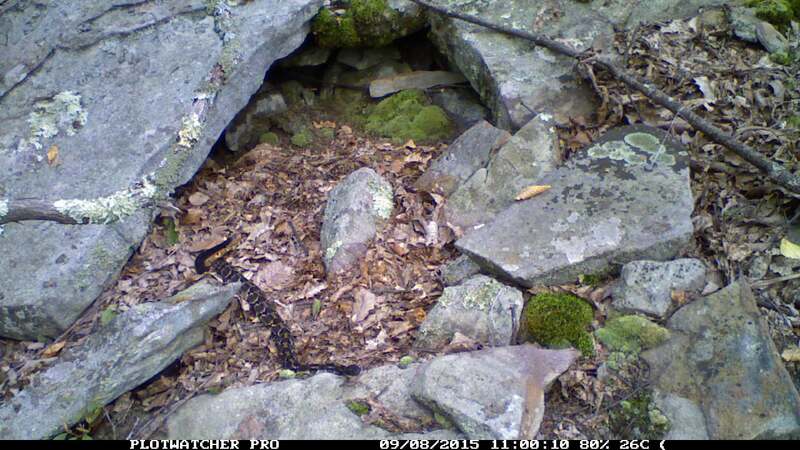 As the days are getting colder, snakes are slowly making their way back to their dens. 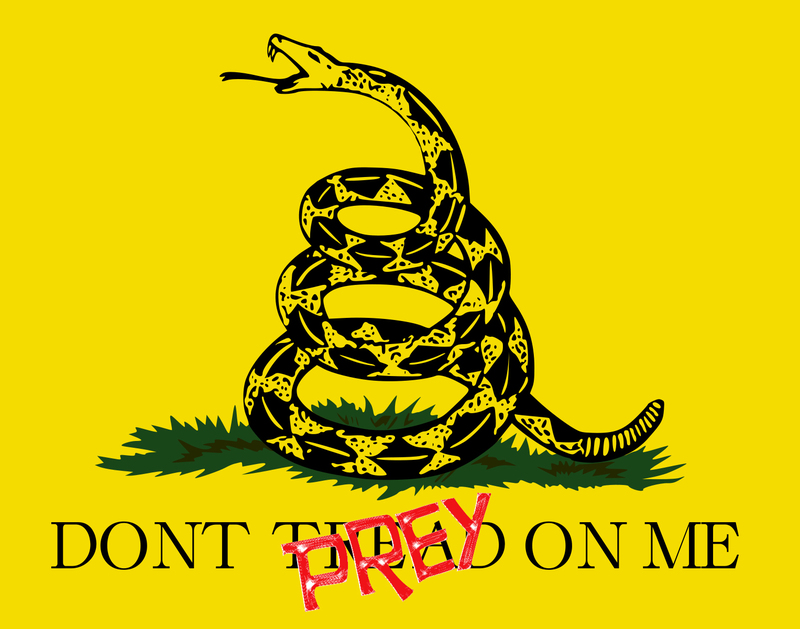 My technicians are still tracking their progress, but little-by-little each of our 15 radio-tagged snakes are getting closer to the location where they will spend their winter sleep. 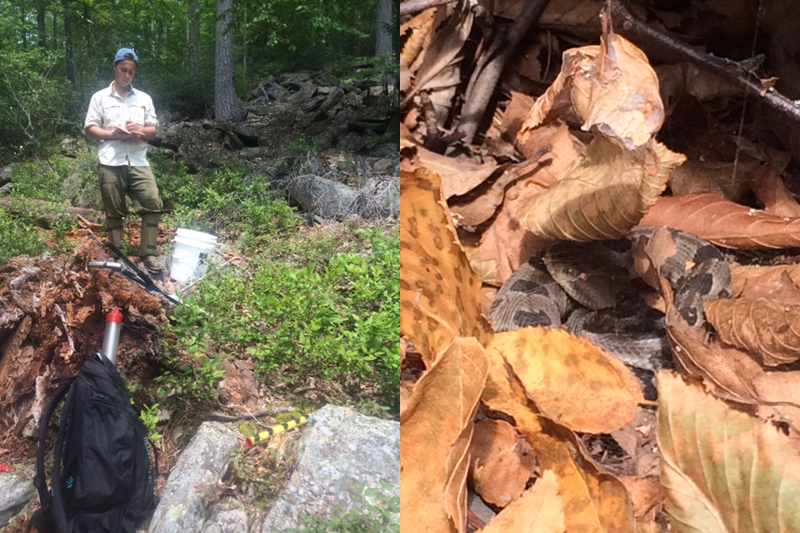 This summer was a huge success as we collected ecological data for our rattlesnakes in our pre-burned habitat. 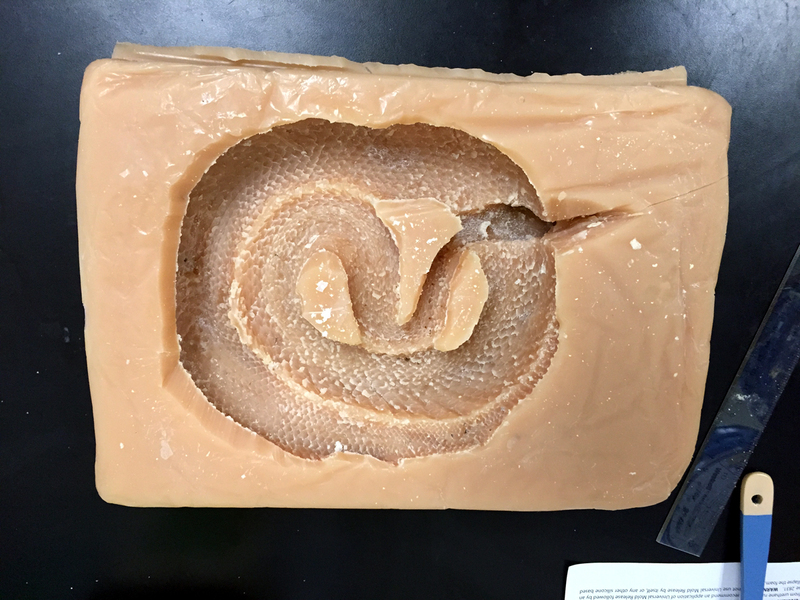 Much of this success was made possible due to a great team of technicians: Alyssa Hoekstra, Andrew Brown, Zack Maisch, Alex Dyson, and Mark Herr (lab undergrad extraordinaire)! 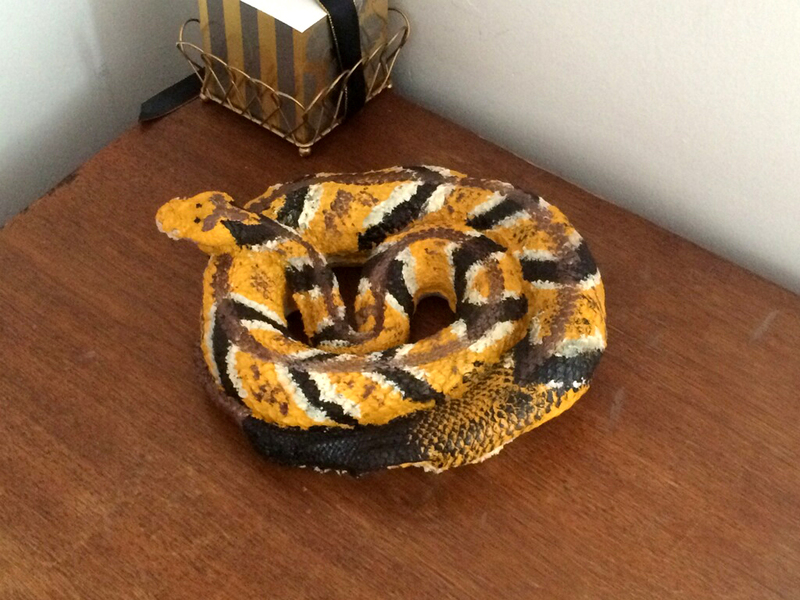 Our snakes led us to some great data this past summer. 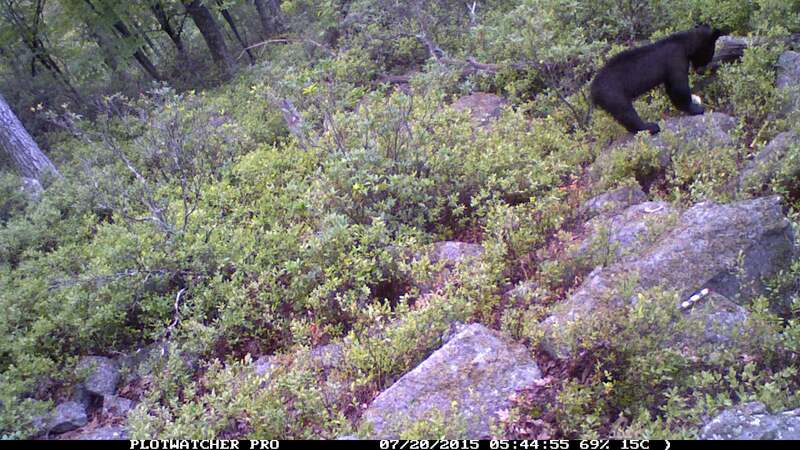 Males did not disappoint us, and they typically had us hiking over large tracts of land. Sometimes, males were able to travel over 1-km in 24 hrs, up and over large mountains. Much of this traveling was to find receptive females, and we observed many mating encounters as well as male-male combats! 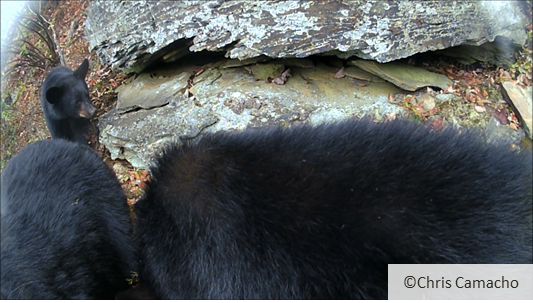 Females stayed a little closer to the den sites and study area. The females main concern was foraging for food, but sadly none of our females at the main study site were gravid this year. 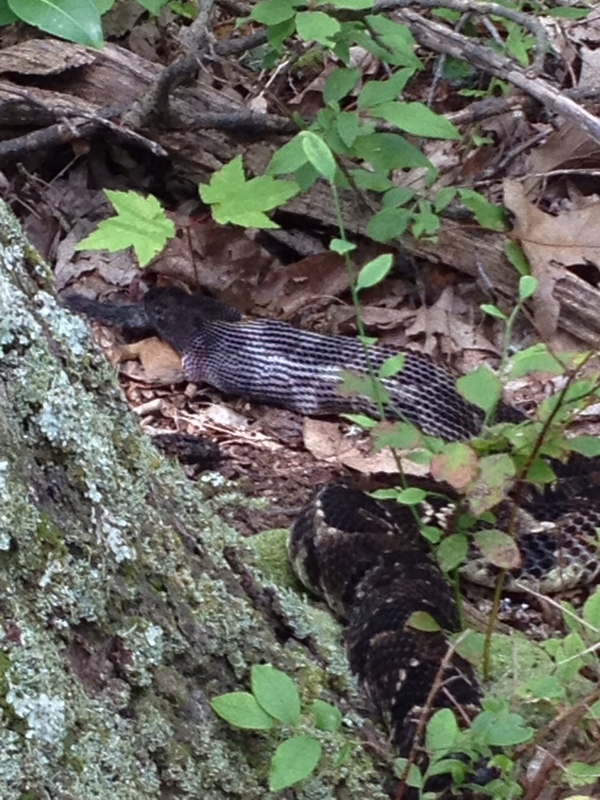 Given the high abundance of chipmunks and mice throughout central PA this summer, I would not be surprised if many female rattlesnakes were gravid next summer. 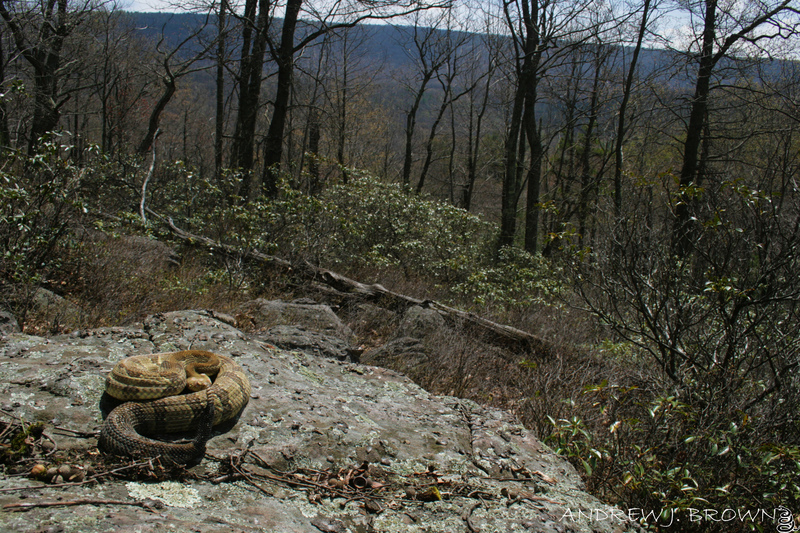 It is believed that good reproductive years for timber rattlesnakes typically follow good food years. 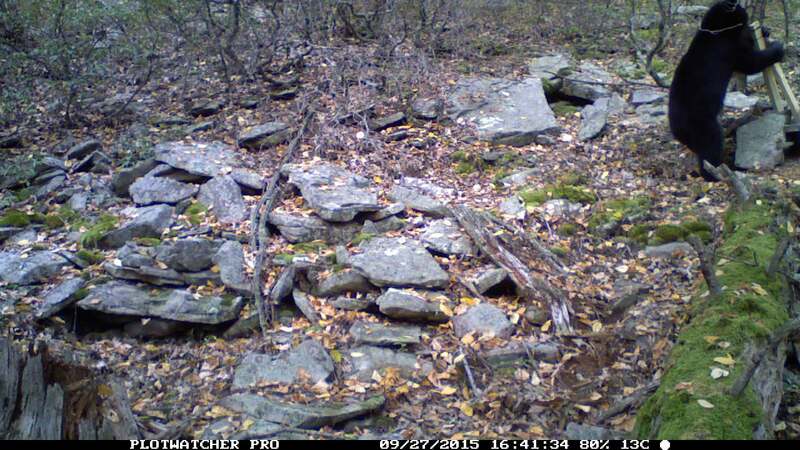 Although we were not measuring small mammal abundance last year, I suspect it was lower than this year. 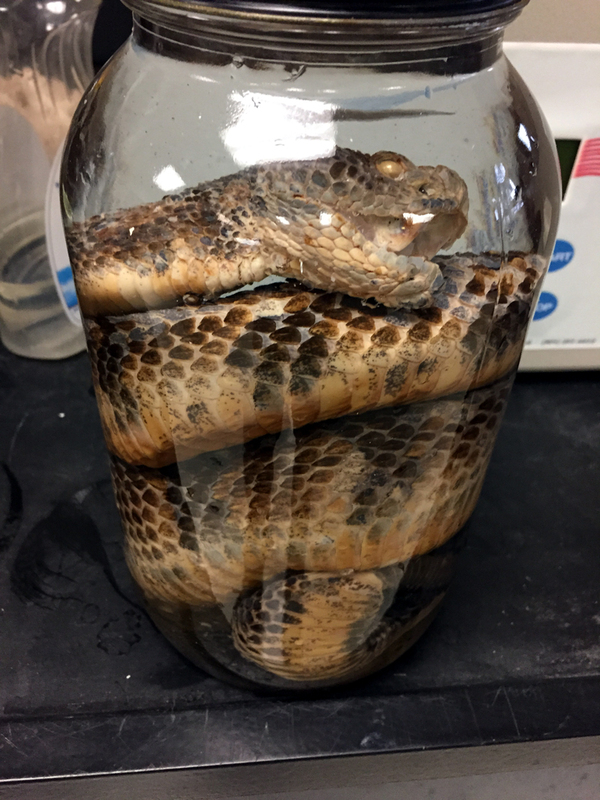 Following the conclusion of our project, we may be able to shed some light on this relationship between rattlesnakes and their prey. 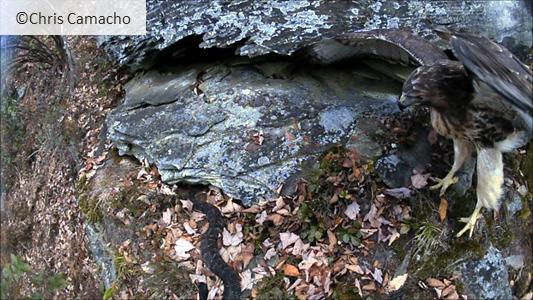 Additionally, prescribed fire can enhance small mammal abundances, which may lead to increased reproductive rattlesnake fitness! 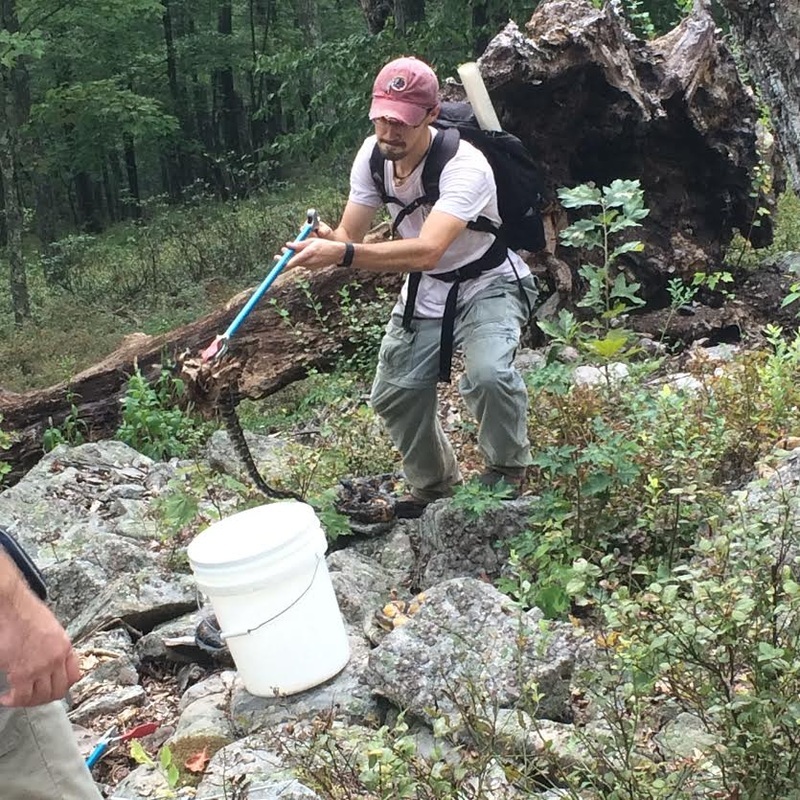 In addition to following the snakes around, we also took some time to characterize the pre-burn study sites and the available resources for timber rattlesnakes. 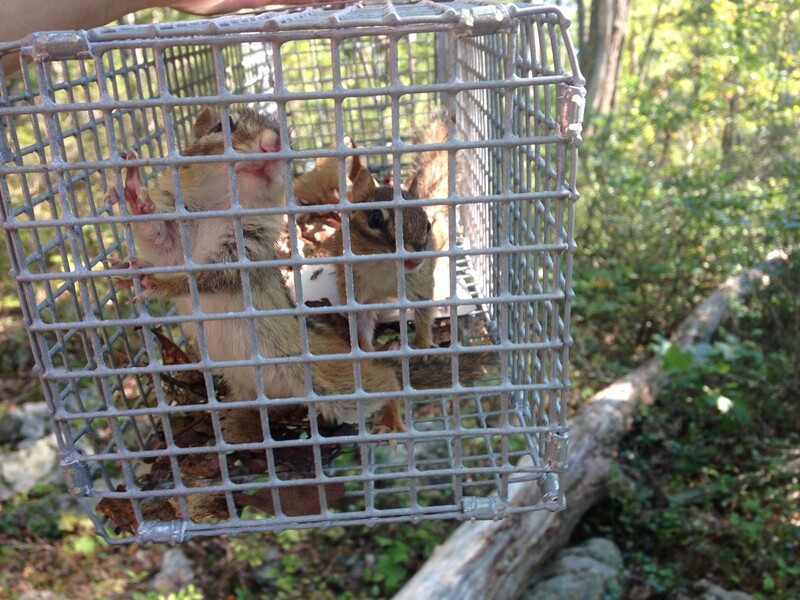 We measured small mammal abundances, operative temperatures, available vegetation, and acorn mast production. We will compare these available habitat characteristics to next year’s to see how these variables change based on year-effects and the prescribed burn. 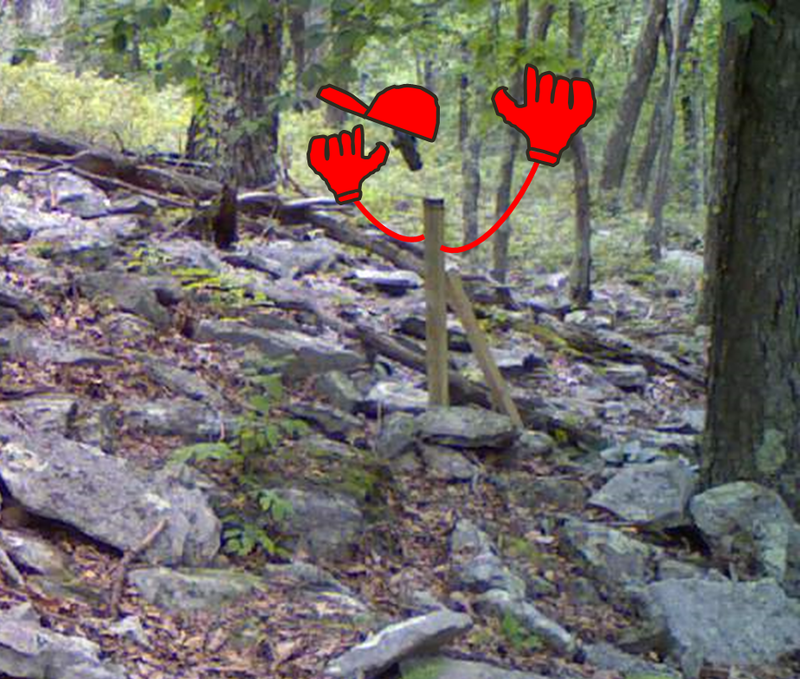 In addition to the prescribed fire project, we also embarked on two new projects with the help of Tom Radzio! 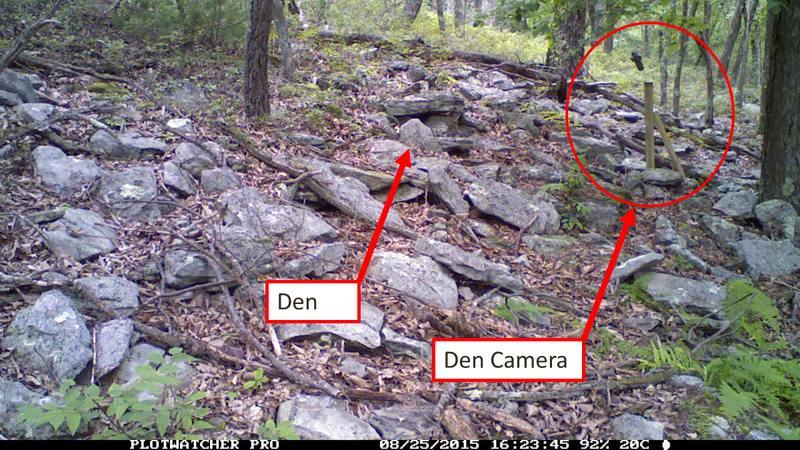 Tom is a colleague from Drexel University, and he is using cameras to observe tortoise behavior outside of burrows in the southeastern United States for his dissertation. Tom was gracious enough to loan us a few cameras so that we could embark on these great, new side-projects. For the first side project, we are currently looking at the ecological trade-offs between thermal resource acquisition and predation at gestation sites of various sizes. 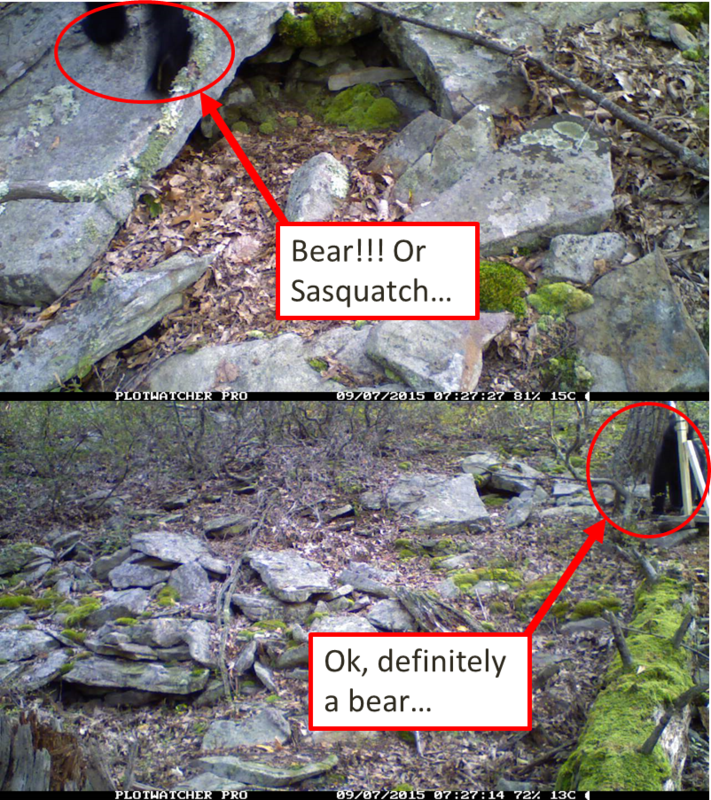 We collected some great data regarding potential predators, including black bears, bobcats, raccoons, and hawks. 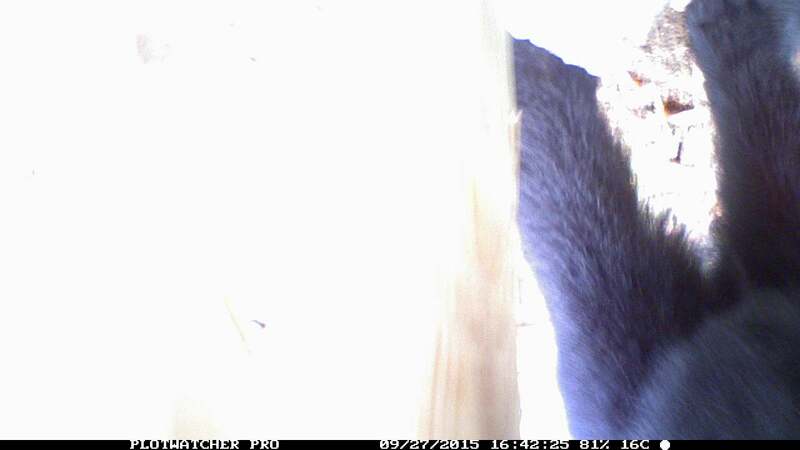 Whereas we have already pulled all of our cameras from the field, we are still collecting data from these videos. Currently, I have a great team of undergraduates assisting me with this process, including: Mark Herr, Michaleia Mead, and Tommy Cerri. 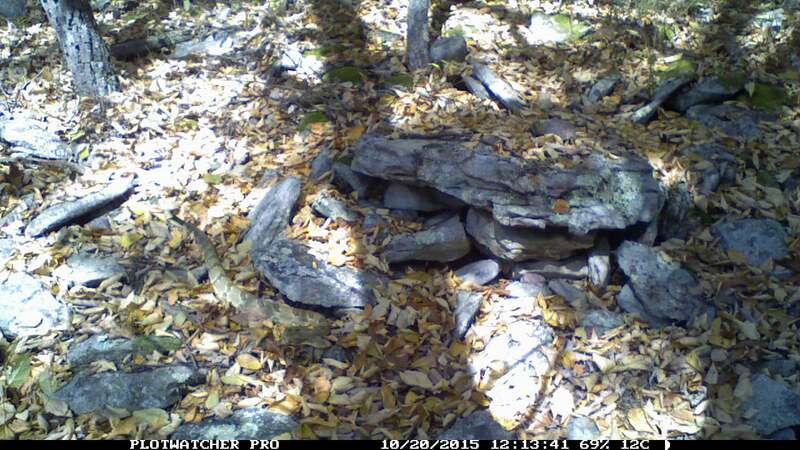 We hope to have all of these data collected and analyzed by the end of November! 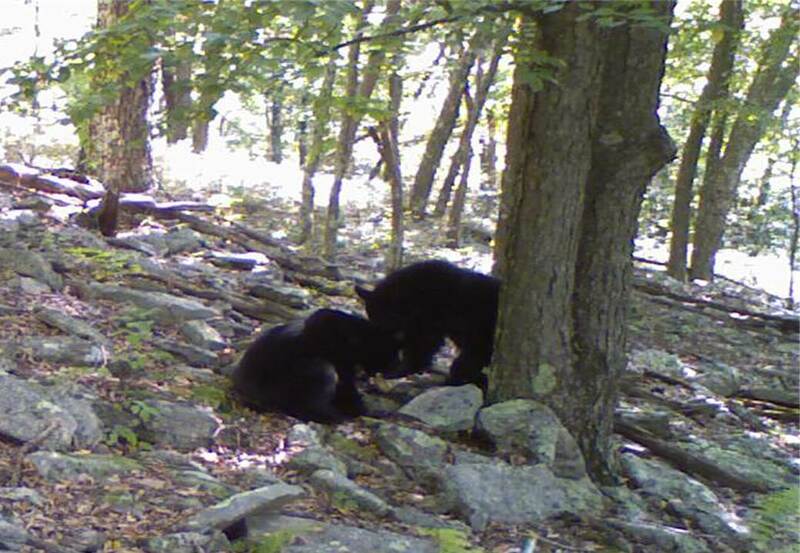 We are predicting that we will see a higher amount of predator activity at more open, larger gestation sites, but we will also find higher quality thermal habitat at these same sites as compared to smaller, more enclosed gestation sites. We are looking forward to the results! 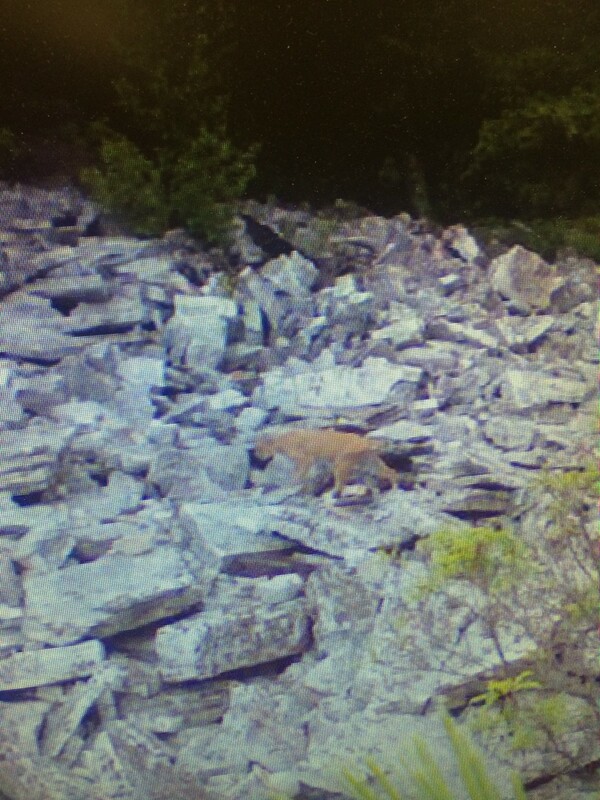 Bobcat walking through a large, open gestation site. 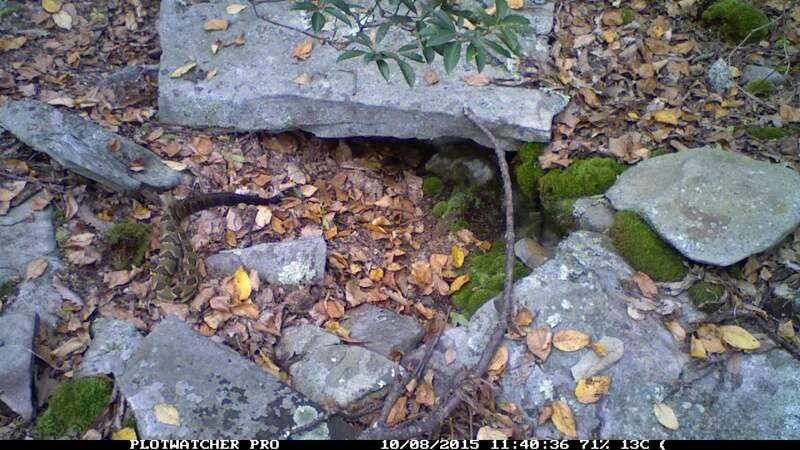 Whereas the bobcat did not show any interest in the foam, rattlesnake models that we placed at the site, the mere presence of the predator suggests that an encounter is possible. 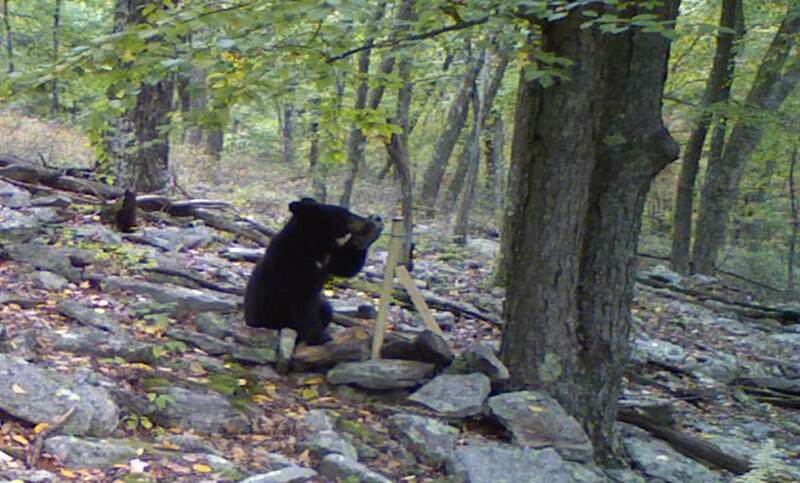 A black bear attacking a foam model at an enclosed, smaller gestation site. 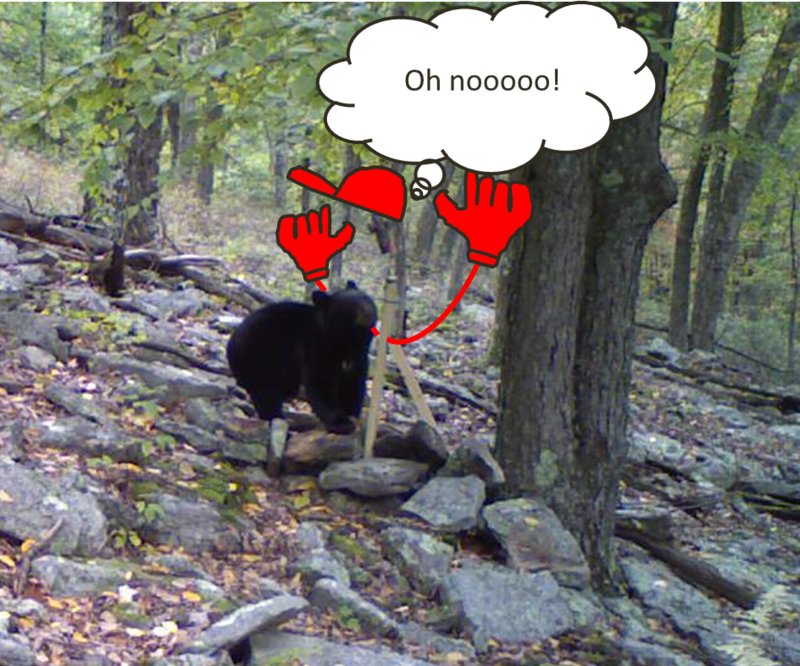 The bear first approached two foam, rattlesnake models and swatted off their heads. 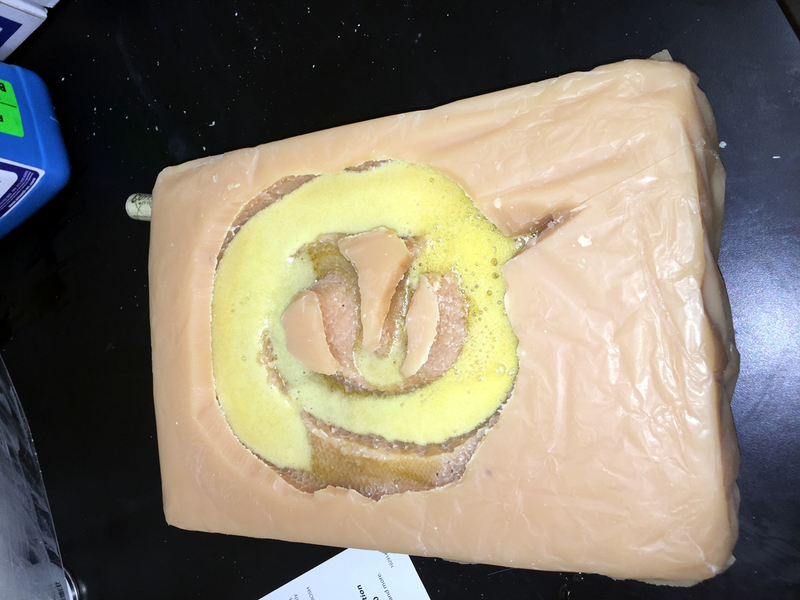 It then bit two more models (one shown here) before taking off out of the gestation site. 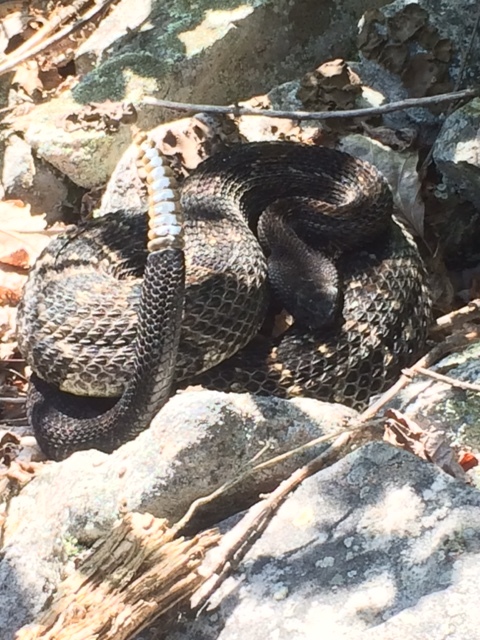 For the next side project, Tom Radzio and I are looking at when rattlesnakes decide to go back into their dens, how this correlates with environmental temperatures, and if predators are attracted to these den sites during this time of rattlesnake ingress. 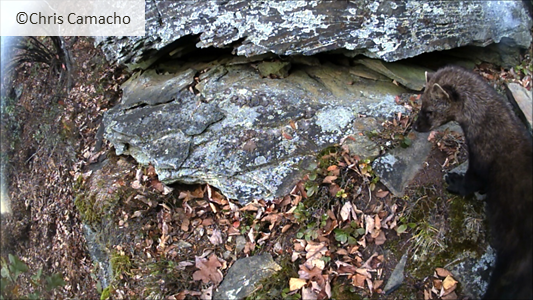 We are currently collecting data at these den sites and we have a great undergraduate, Tommy Cerri, who is assisting us with analyzing these videos. 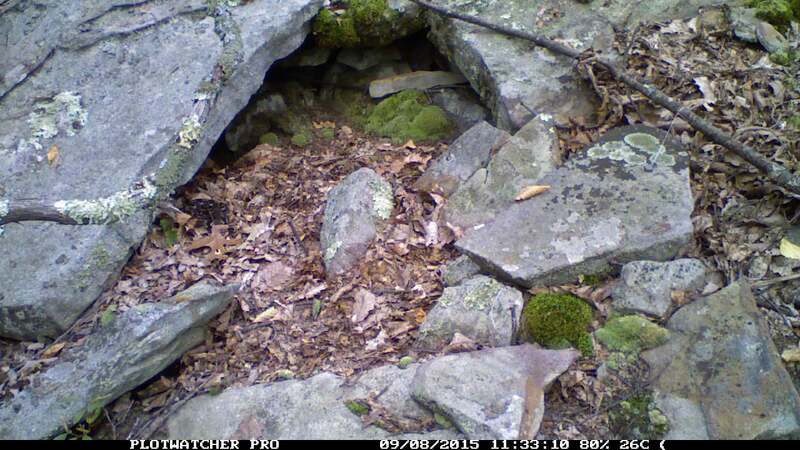 Rattlesnake basking in front of a den site. If you look closely you can see some small grey iButtons recording environmental temperatures. This fall will be filled with a lot of data analyses, writing, and hopefully a few published results. Stay tuned as we finish up a few of these projects. 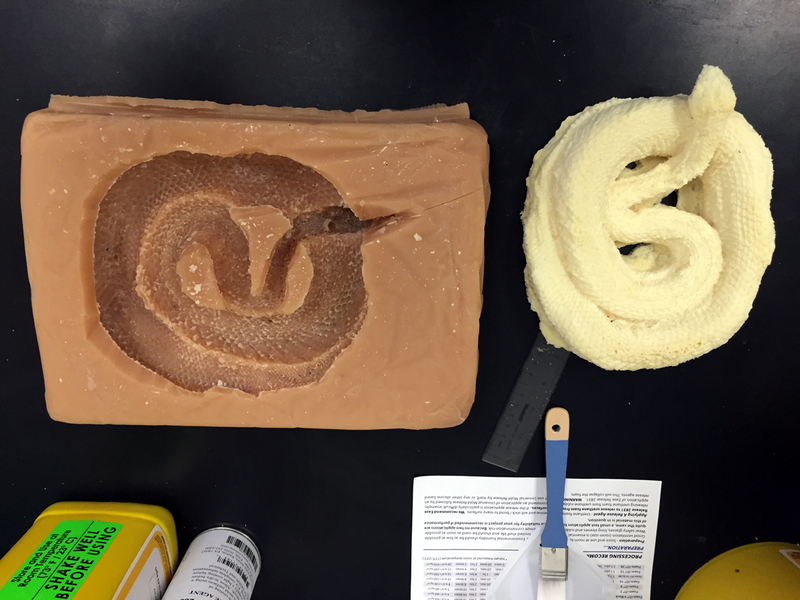 I will make sure to update everyone on the results to each of the finished products. This post originally appeared on chowey.net! 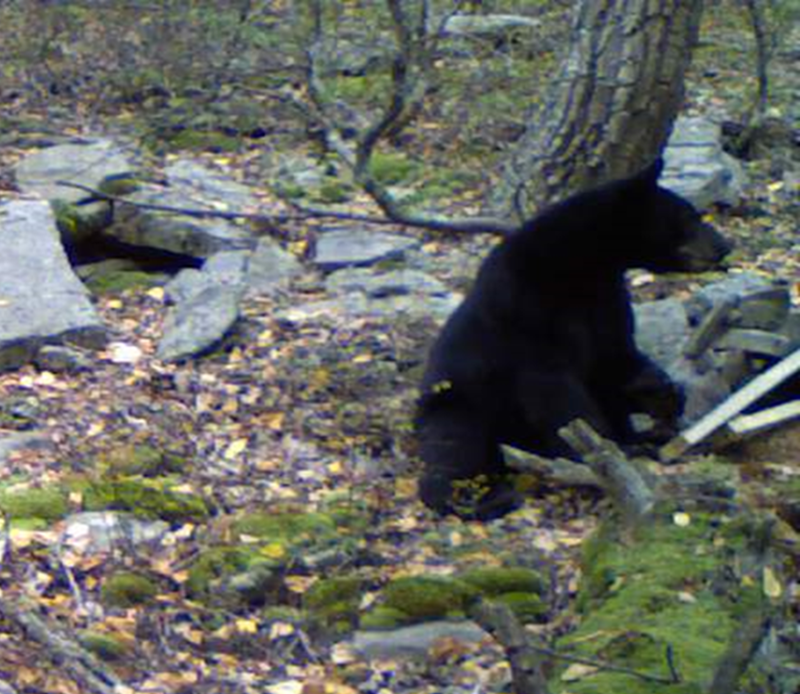 Categories: Research in PA | Tags: black bear, bobcat, chipmunk, combat, predator, prey, radiotracking, rattlesnake, Timber Rattlesnake | Permalink. 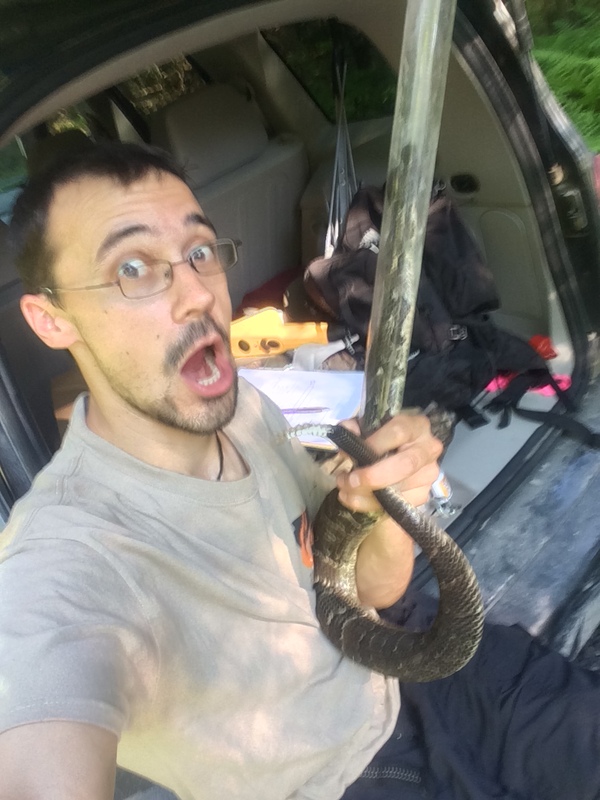 Another field season is underway and things are getting crazy! This summer, I will be conducting three big projects, but luckily I will have the assistance of a small army of technicians. 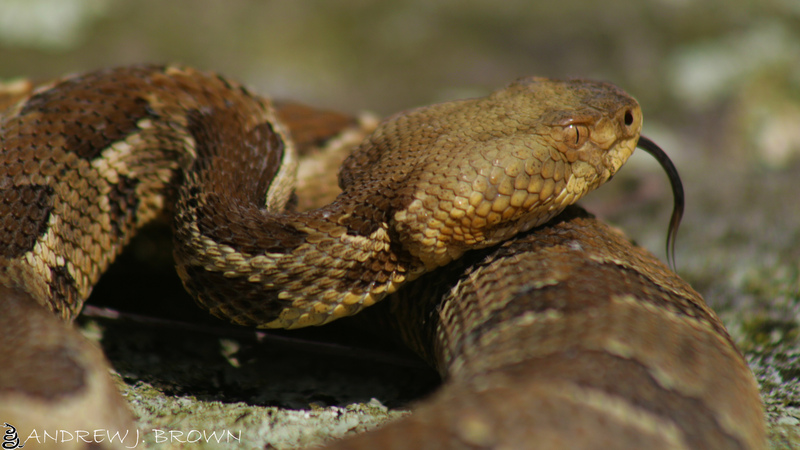 The first project will focus on the habitat use and thermal biology of the timber rattlesnake and how prescribed fire may affect the availability of these preferred habitat characteristics. 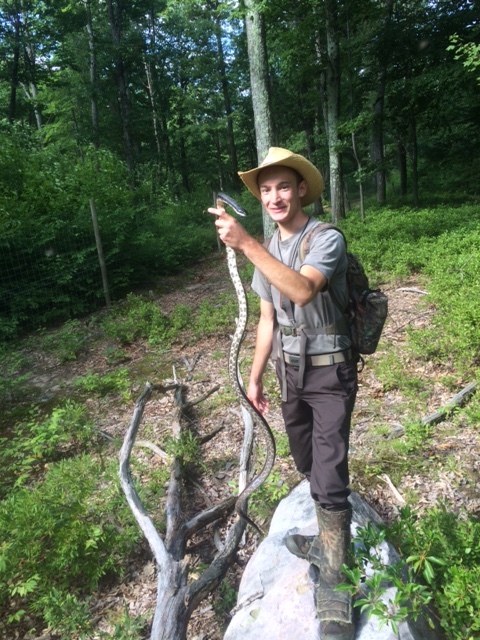 This summer we will radio-track rattlesnakes to determine thermal and habitat preferences. Next year, the study sites will be burned, and I will determine if these post-burn landscapes provide more or less habitat fitting these preferences. So far we are off to a great start! 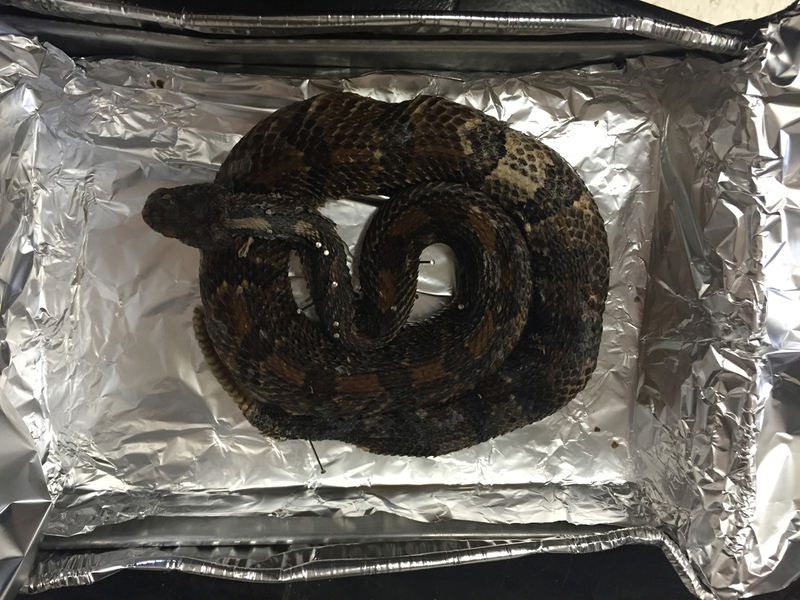 We have captured 21 rattlesnakes and we are radio tracking 5 males and 4 females (we hope to get a few more females). Next week we will begin to characterize the available habitat surrounding the rattlesnakes as we will begin vegetation surveys, measuring operative temperatures, and small mammal trapping. In addition to investigating the effects of fire on timber rattlesnakes, I am also looking at the effects of prescribed burning on vernal pool amphibians. From time-to-time, prescribed burns are conducted right next to a vernal pool. 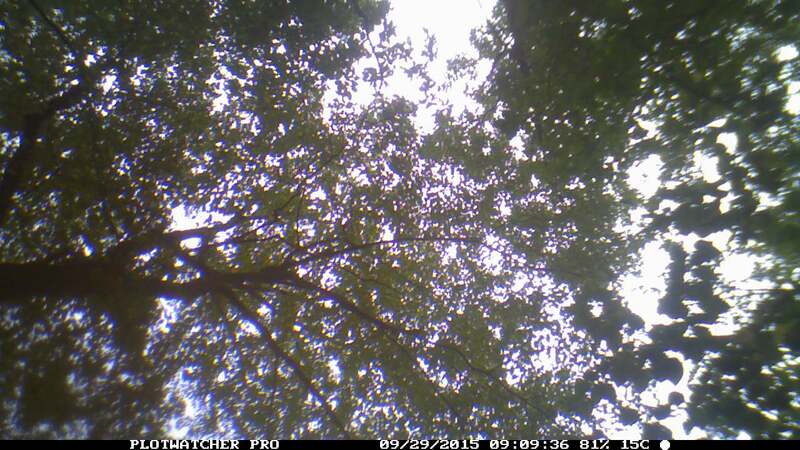 This disturbance may reduce canopy cover over the vernal pool, raise temperatures within the vernal pool, and change water chemistry. 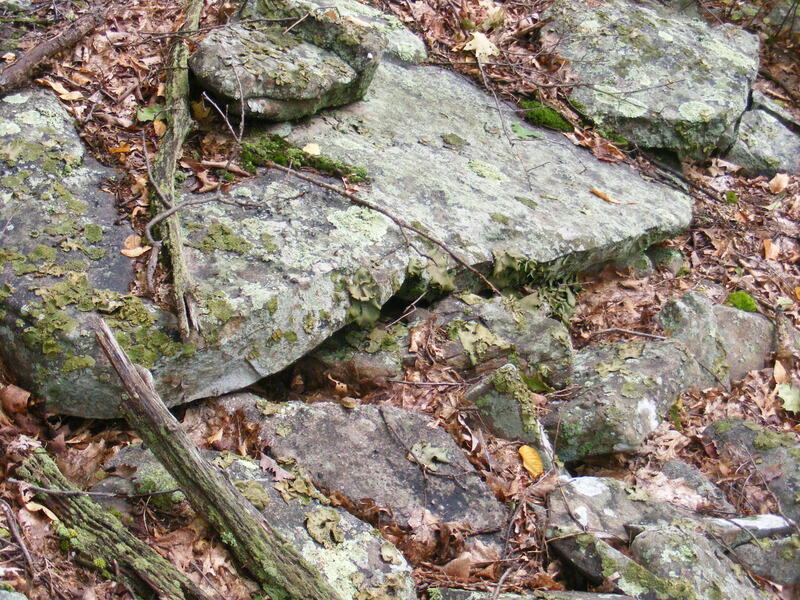 Long-term effects may also include changes in soil composition surrounding the vernal pool which may lead to more run-off into the vernal pool. To determine these effects more clearly, I am measuring the physio-chemical characteristics of 4 vernal pools (2 that will be burned over next spring and 2 that will remain untouched). 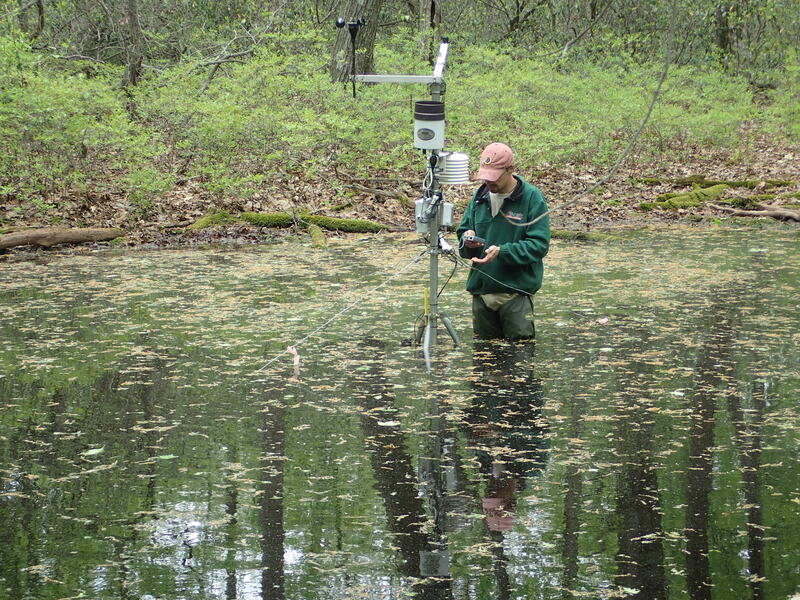 I have deployed weather stations in each vernal pool that will track water temperatures, air temperatures, relative humidity, wind speeds, rain fall, and amount of solar radiation reaching the vernal pool. I am also measuring DO, pH, and conductivity each time I visit the vernal pool, in addition to surface area and depth of the vernal pools. 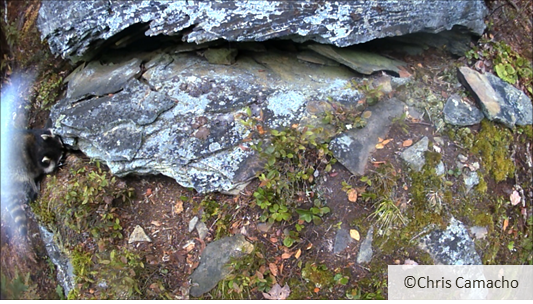 During these visits, I am surveying for larval amphibians, egg masses, and invertebrates. So far we have seen many wood frogs, Jefferson’s salamanders, and spotted salamanders. However, we seemed to skip “spring” this year and things warmed up very quickly. 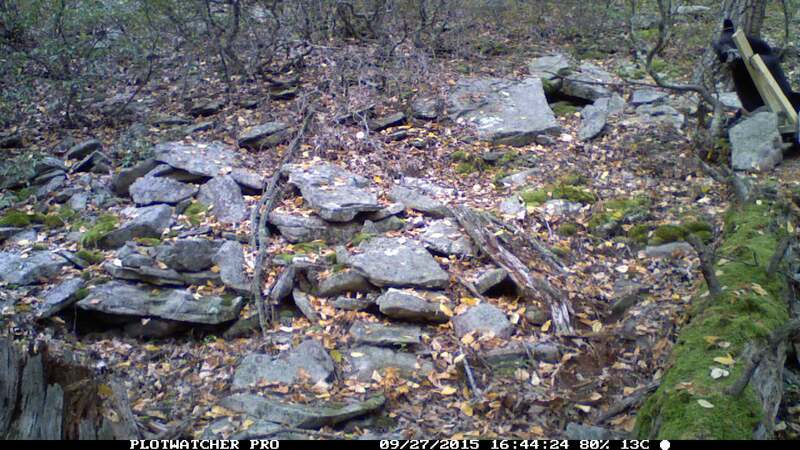 Two vernal pools completely dried up! And the other two are getting very shallow! We were able to add on another vernal pool to replace one that dried up, but things aren’t looking good for this year’s tadpoles and larval salamanders… Next year, we will burn over the vernal pools and investigate changes in water chemistry and physical characteristics of each pool. 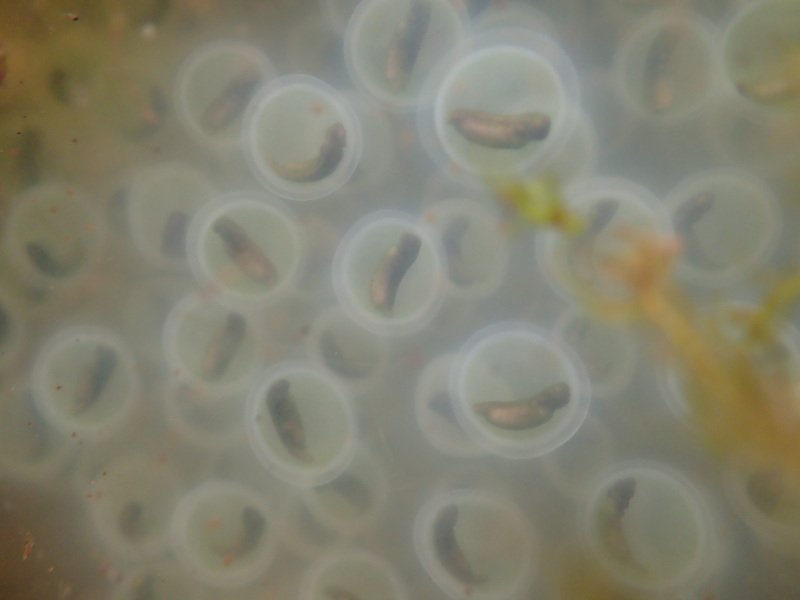 A spotted salamander (Ambystoma maculatum) eggmass in one of the vernal ponds. 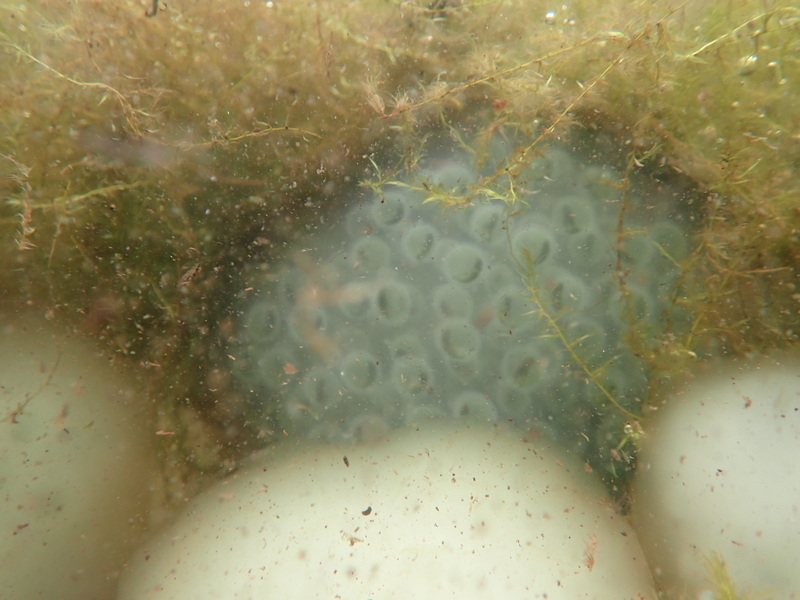 These salamander eggs are definitely ready for their close-up. 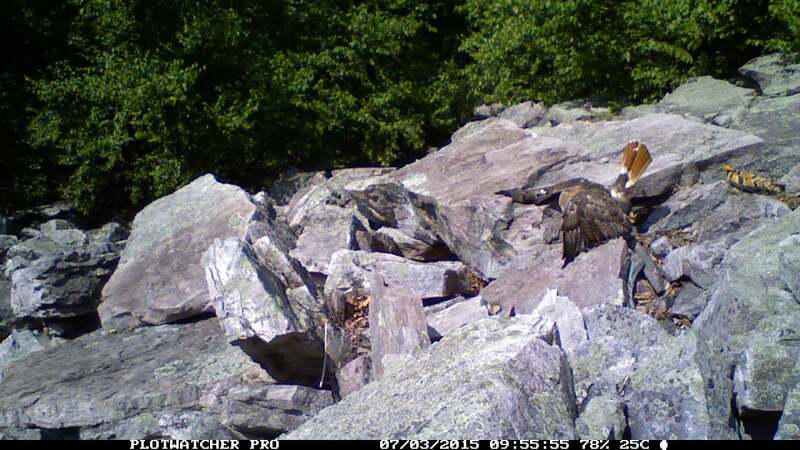 Lastly, Mark Herr and I will begin a project looking at ecological trade-offs between thermal resource acquisition and predation at gestation sites of various sizes. We will be deploying operative temperature models and foam predation models at 6 gestation sites (3 small and 3 large sites). 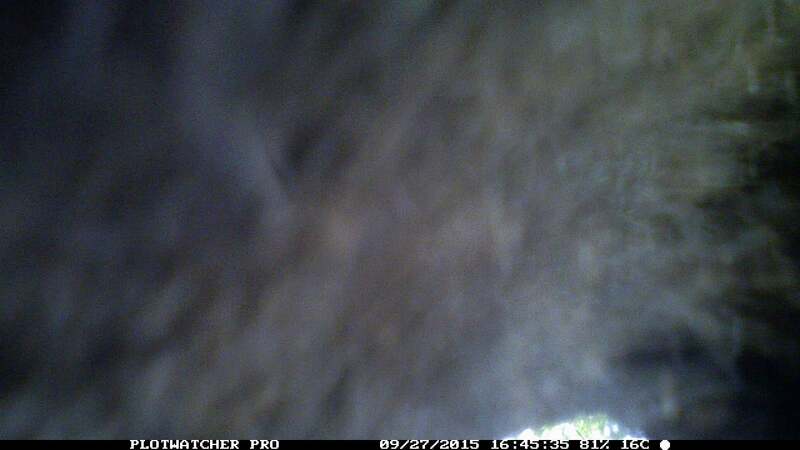 We will also radio track a couple gravid females at each site to determine body temperatures, survival, and lay dates. For more on this project, see Herr’s post! And for more on all of these projects, stay tuned to future posts! 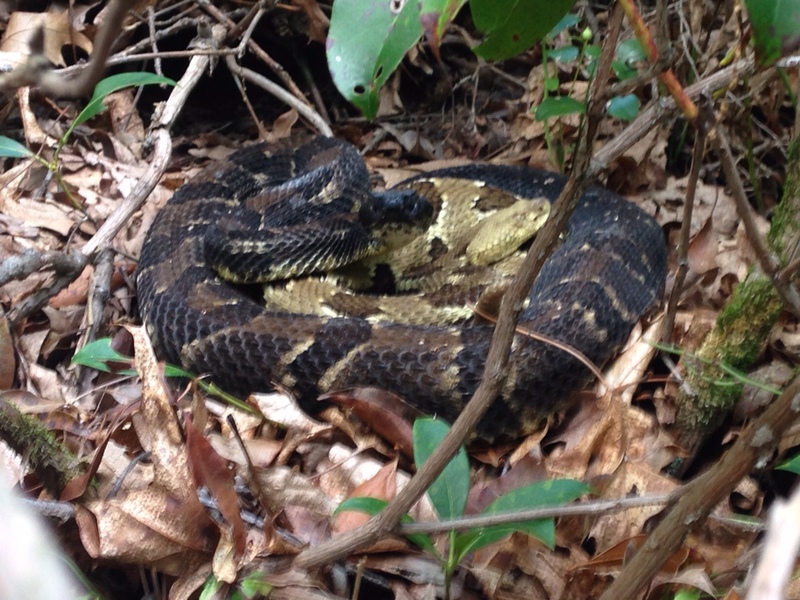 Categories: Research in PA | Tags: prescribed fire, radiotracking, rattlesnake, spotted salamander, Timber Rattlesnake, vernal pool | Permalink.